It has been my pleasure to make the acquaintance of Anders Halldén of Jönköping, Sweden. 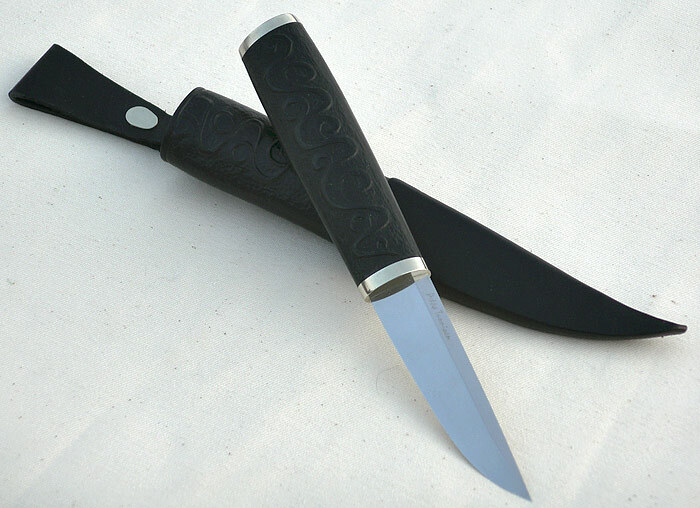 Anders has an extensive website with photos and articles about traditional Nordic knives. He has generously allowed me access to his material and I have chosen two of my favorite vintage puukkos from his pages to present here. The first is a vöyrin puukko by an unknown maker from the 1700s. 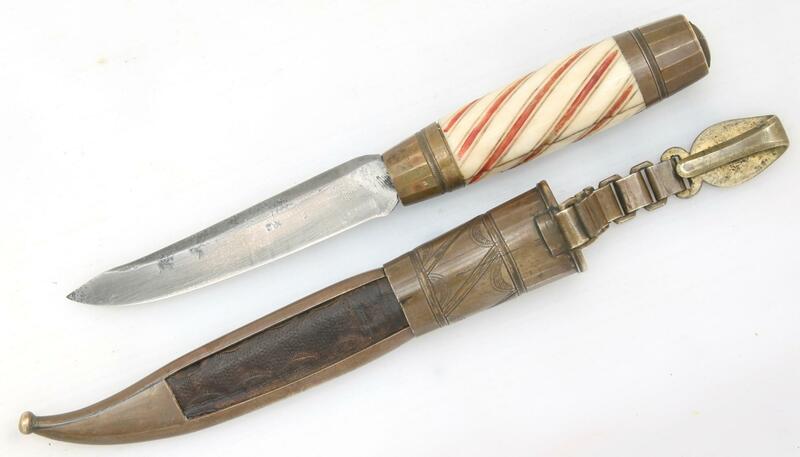 This knife was carried to Sweden by a family who had immigrated from Finland and was purchased at auction there in November 2010. I really like this classic puukko form and would like to know more about it’s history. The last photo shows the knife after a gentle cleaning. “Enjoy this beautiful work. 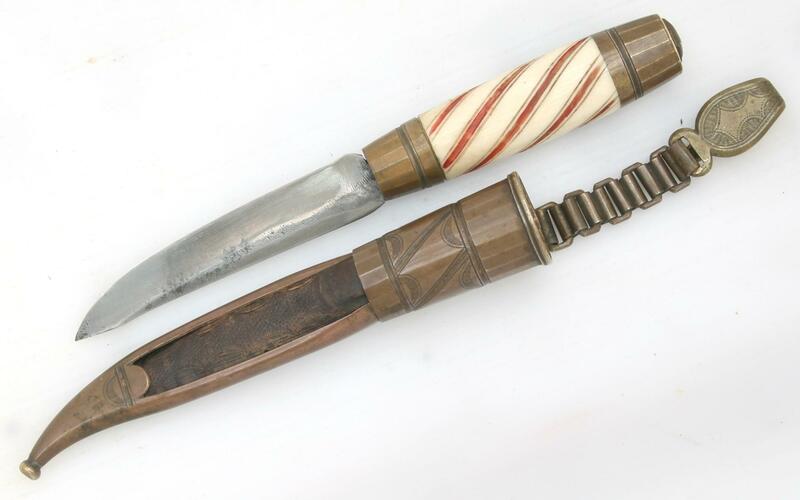 The knife is a Finnish Toijala, bought in the U.S., maybe it was part of a Finnish emigrants belongings. It was made between 1830 and 1880 according to author Anssi Ruusuvuori. 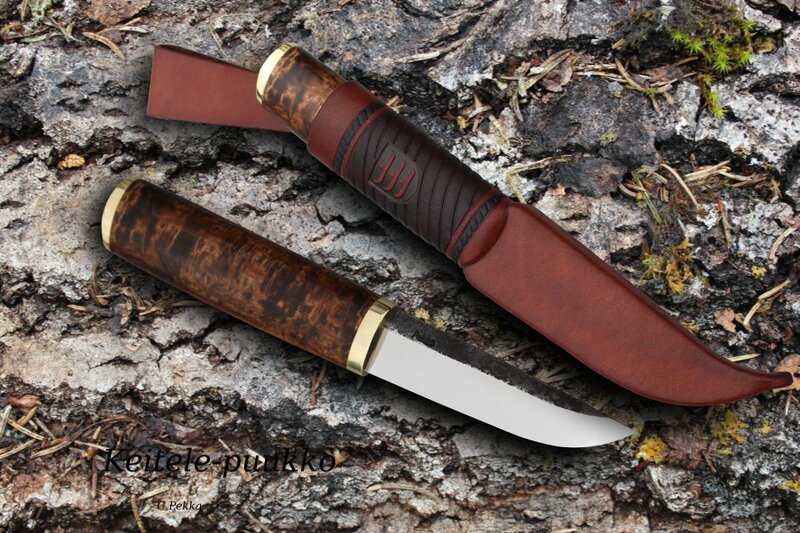 Best known for producing Toijala knives or puukko is family named Flink, who later changed his name to Wahtera. 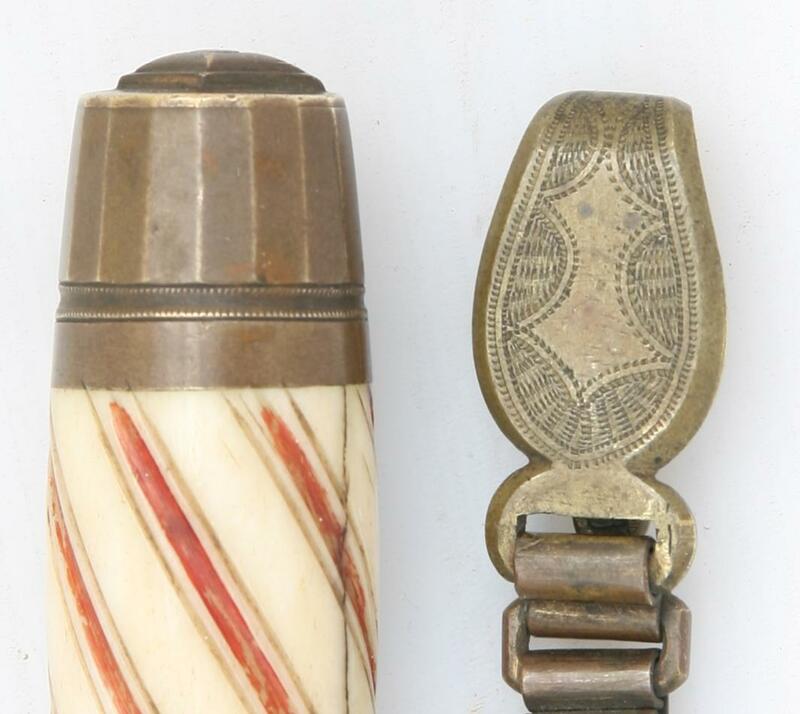 To compare a Flinck knife to this, I see a big difference, especially in the engraving, but also the metal craftsmanship is more distinct and has better precision on this one. But who has made this and when was it? 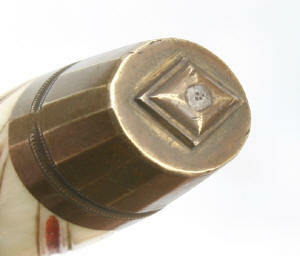 I did not want to polish or clean it, the brass has a beautiful patina. Unfortunately, the blade was polished when I bought it. Note that the blade is wider than the traditional Flink blades, having a large bevel similar to the blades of voyrinknivarna. Nothing indicates that this would have been changed. The entry hole in the shaft, which incidentally is open, with no damage and the washer on the shaft knob has not been removed, this is visible in the pictures. Thank you Anders! 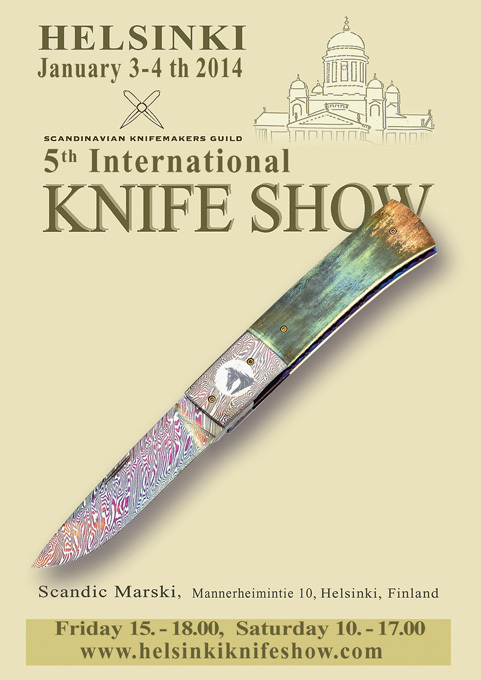 Be sure to visit his site at http://www.cultur.nu/knivar/ to see some rare and beautiful knives! 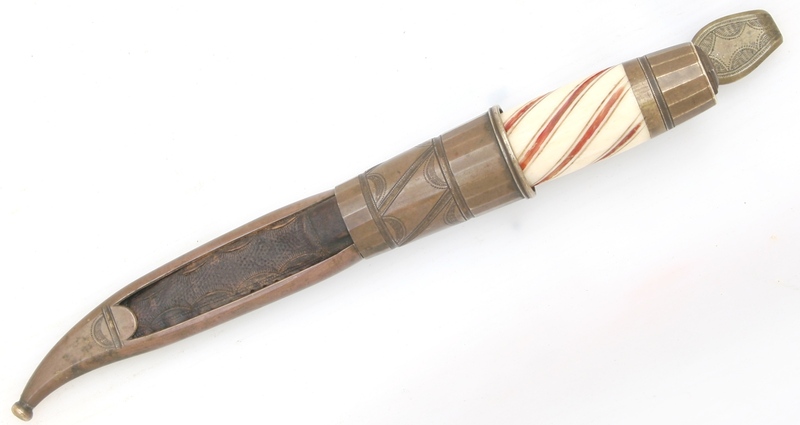 A Toijala knife with an elk-bone handle made by Kalle Wahtera of Toijala, 1920-1928. Photo: The National Board of Antiquities/Markku Haverinen. A Vöyri knife. 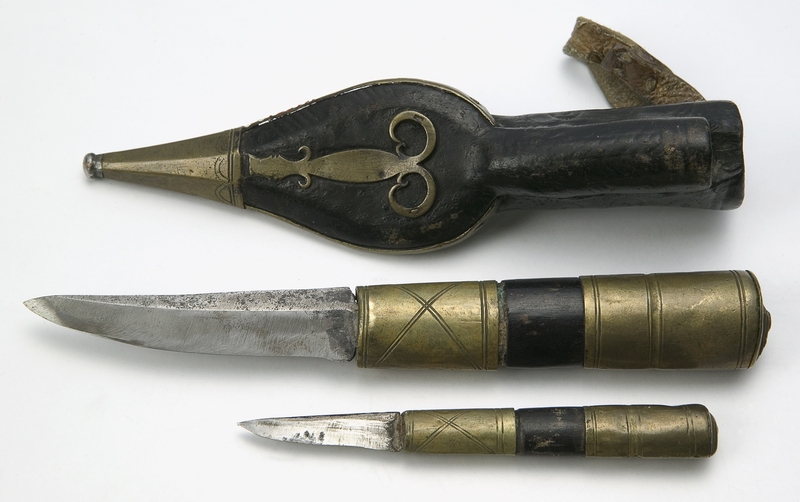 Markedly ferruled sheaths and knives were made in particular in the Vöyri region since the middle of the 18th century. Photo: The National Board of Antiquities/Markku Haverinen. It has been my pleasure to be in contact with Pekka Tuominen, one of the seven puukkomasterei or master blade smiths of Finland. I am an admirer of Pekka’s work. He is a master of the form, his puukkos are based solidly in tradition, that is they are clean, elegant and spare in design. He works in a variety of materials while favoring the traditional birch bark and curly bark for the handles and silversteel for the blades. Pekka was kind enough to carry on an interview with me and answer a few questions. I hope you enjoy the result and will visit Pekka’s website at http://puukkopekka.com/ and his Facebook page https://www.facebook.com/pages/puukkopekkacom/165617670155873 Thank you Pekka! 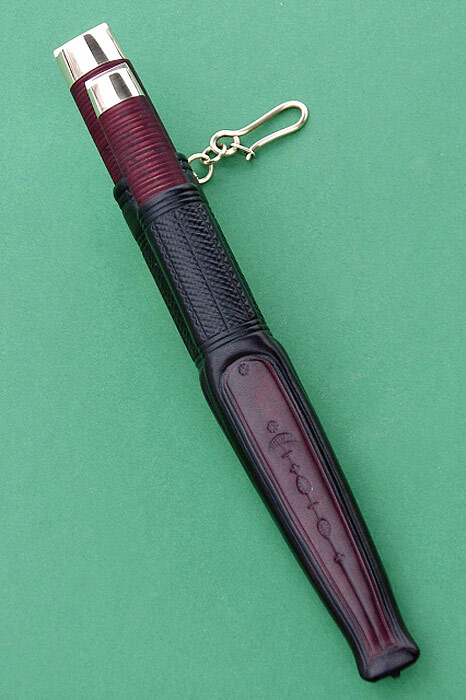 Speaking as a user what would be your ideal puukko, dimensions and materials? 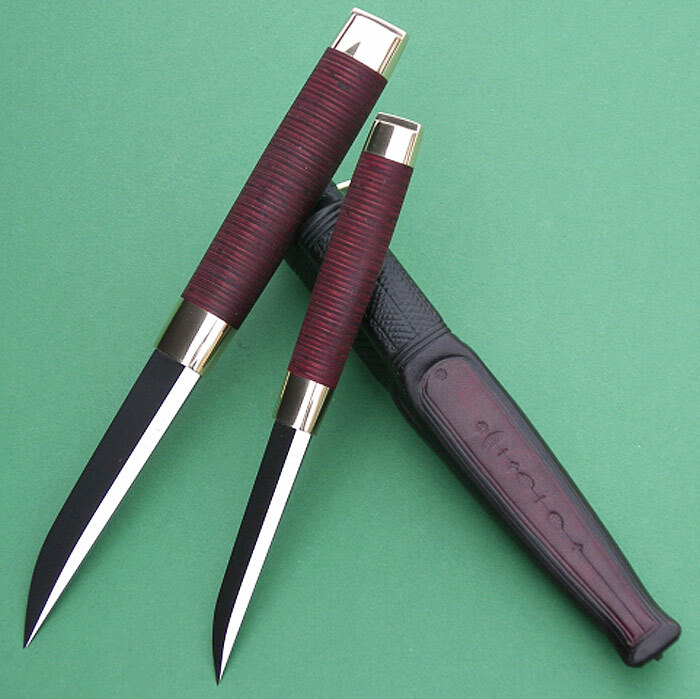 I like simple design, I also believe that puukko design is traditionally simple, because simple is more multipurpose. I like that the blade is about 90mm long and handle 110 mm. I like many different steels, my experience is that the material for the blade is important, but the most important thing is heat treating. I like 115CrV3 (silversteel), RVL-34, 52100, etc. My favourite handle material is birch bark. I have used in everyday jobs for the last couple of years one of my ‘test’ versions. The handle is from stabilized black ash burl, and blade from CPM S30V. It is a much used knife and ‘wrongly’ used too, that’s why I have grinded it so much. Besides your grandfather Lauri were there other influences on your work? I have used puukkos and other knives since I was very young. One BIG thing happened when I read the first time Sakari Palsi’s book, “Puukko ” (from 1955). It opened my eyes to see the design, what makes knives a puukko. I hope someday somebody translates it into English. I was a boy scout when I was younger and an outdoor man for all my life. At the age of about 15 I thought about which would be the most important thing for outdoor living and outdoor safety(survival). Soon I knew the answer; knife. For me it was naturally a puukko-knife. I think I have always liked knives. I like the possibility to have a tool, design and art in the same package. Knives have been in my live as long as I can remember, so I can’t think of life without a knife. My grandpa was a part time blacksmith and he made also knives, and my father is a retired carpenter, so I got my first knife very early, I do not even remember it, but it was before I was 5 years old. Like I wrote earlier I have always liked the outdoor life. First I just tried to get all written material to read of traditional Finnish knife, puukko. Later at the age of 18 (1988) I studied in Inari in northern Lappland to become a wilderness guide etc. and at that school I had the possibility to learn the basics of puukko-knife making. Somewhere there is my starting point to knife making. What do you strive for when building a puukko, what would the key points be? 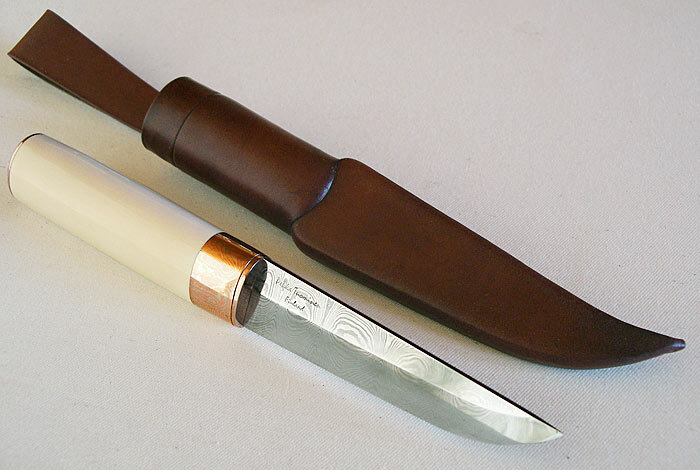 As I have said several times, puukko’s design is simple and basically all puukko designs are same kind. 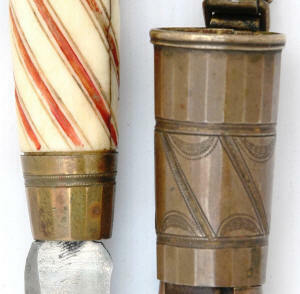 Simple ‘short’ blade, a simple handle without finger guards etc., and no large pommel! I like very much to use birch bark for the handle, I also use curly birch, Micarta, etc. I stitch my sheaths by hand, normally from plant tanned leather. 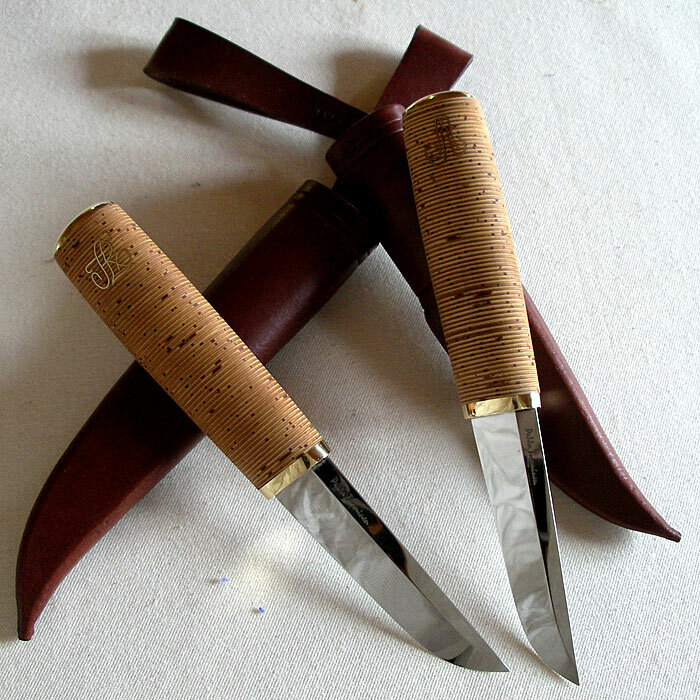 I like simple and elegant style of traditional Finnish puukko-knives, like traditional tommi, pekanpaa or kokemaen puukko models. 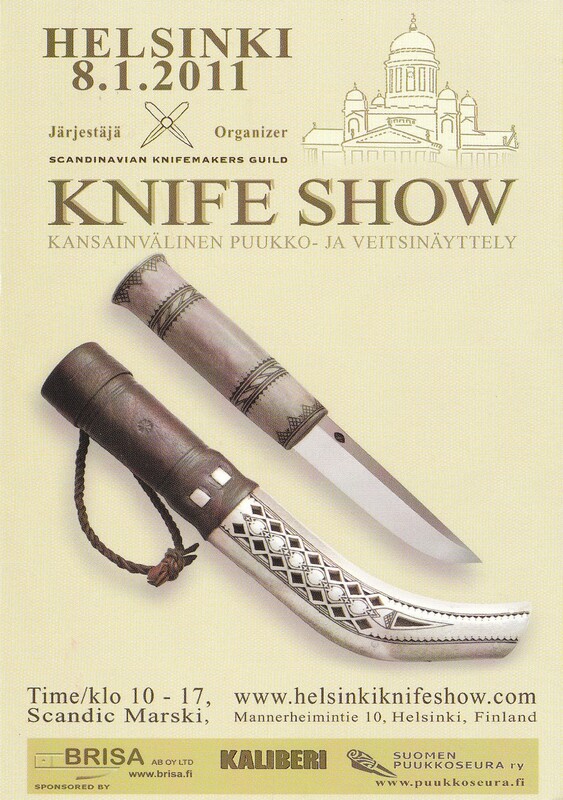 Are puukko designs regional, is there a particular style of puukko that your area, Keitele, Northern-Savo is noted for? We have here in Finland regional models, but not here in Northern-Savo (or it’s not found yet). But that does not mean that only people who live in the region, can or are allowed to make those models. Everybody is free to make those models (in foreign countries, too). There are some models which are family traditions, and it’s of course good behaviour to ask the family if one wishes to make those models. The biggest difference between those traditional models is decorations. Basic lines and design is very similar. And it’s good also to find that there are some popular materials, but makers have always used ‘modern’ and not so traditional materials, too. 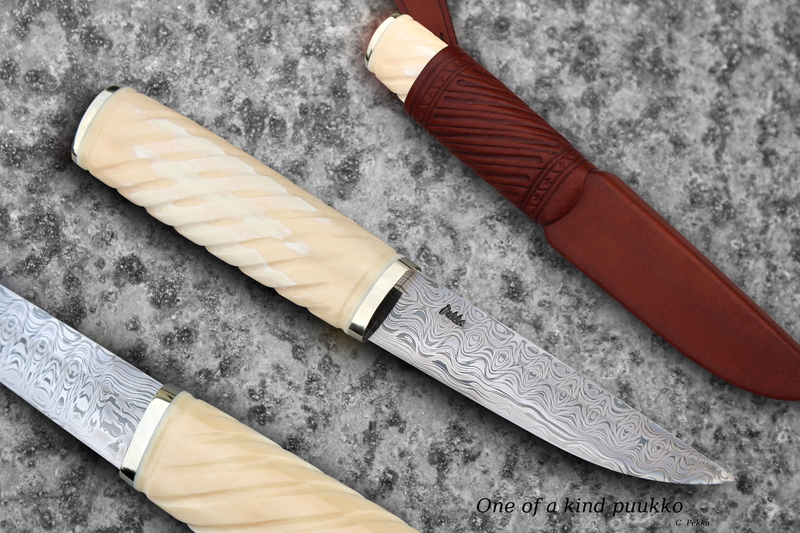 The material does not make a puukko, the design does it! Why do many puukkoseppä like to forge their own blades and what is the preferred steel? 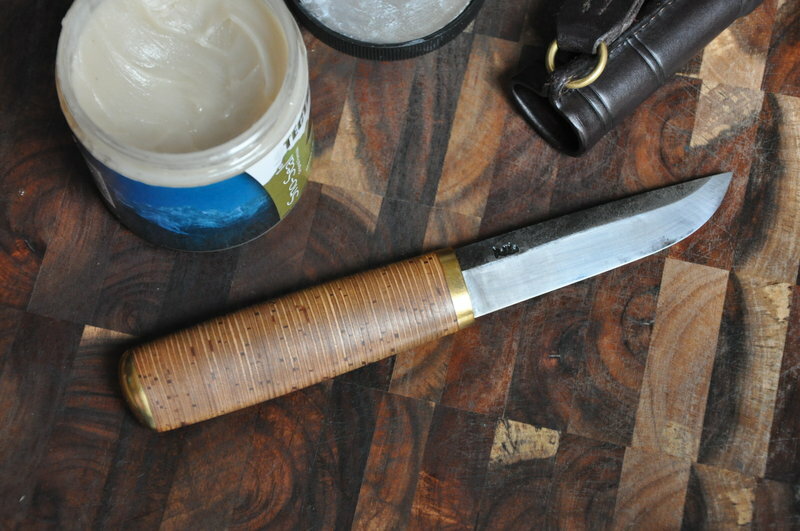 In Finnish tradition, the puukkoseppä (bladesmith) makes the whole knife from forging to the sheath sewing himself. Puukkoseppä is a profession. If a Cuisine Chef boils only eggs, is he a Cuisine Chef? For me the first is the understanding and controlling of material, heat treating etc. Second is ‘seeing’ and understanding the lines and design for the whole knife from the blade to handle to sheath. It’s a package. In knife making I like the whole process. I like that I do not only have to forge, or grind or stitch a sheath. I like knife making because I can use several different materials and techniques and try to make one good looking tool. If I should only forge or grind I would soon get bored. I like every kind of knives. But my specialty is to make traditional puukko-style knives. Simple man makes simple knives. I have also made hunters, leukus, folders, daggers. I forge silversteel(155 CrV 3), 52100. I also forge my damascus, normally from 15N20 and 1090. And I use also stainless like RWL-34, which I grind only. I always make the heat treating myself. 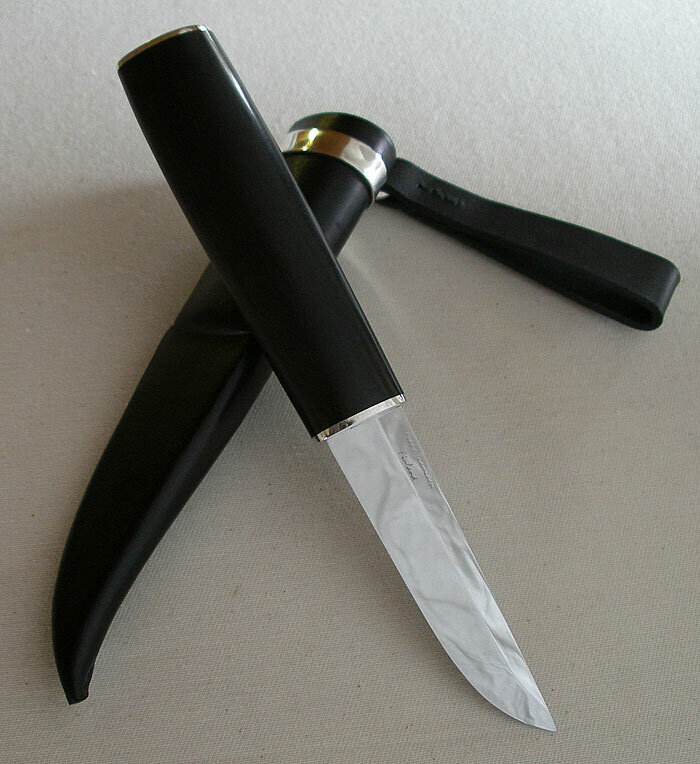 What is involved in becoming a puukkomastereri (master blade smith)? Here in Finland all official professions are controlled by the Ministry of Education. Many of the handcraft professions are also official; as goldsmith or tailor. Same thing with blade smiths. We have here an official professional examination for puukkoseppä (journeyman blade smith). And like other professions we have also master grade; puukkoseppämestari (master blade smith). Many of the handcraft professions are gained by passing a qualification, and there the candidate makes several works for a jury. We got our master blade smith status from the ministry of education of Finland after passing several tests and making the special master’s work .At the moment we have here in Finland seven puukkoseppämestari; Jukka Hankala, JT Palikko, Arto Liukko, Pasi Jaakonaho, Markku Vilppola, Mikko Haverinen and I. Has your time spent making puukkos and other knives increased due to the demand for your work and do you ever see yourself doing it full time? At the moment I use about 90% of my time in making knives. I have been lucky to get interesting works from customers, it has also been interesting to work with Spyderco. At the moment (summer 2012) my waiting list is about one year from order. Knife making has given a lot of things to me, I have friends all over the world, I can even travel because I make knives. My goal is to be a better knife maker, a hand crafter is never fully ‘educated’. I try to keep my eyes open and find things which I could make better in all of my works. At least so far I have found them. 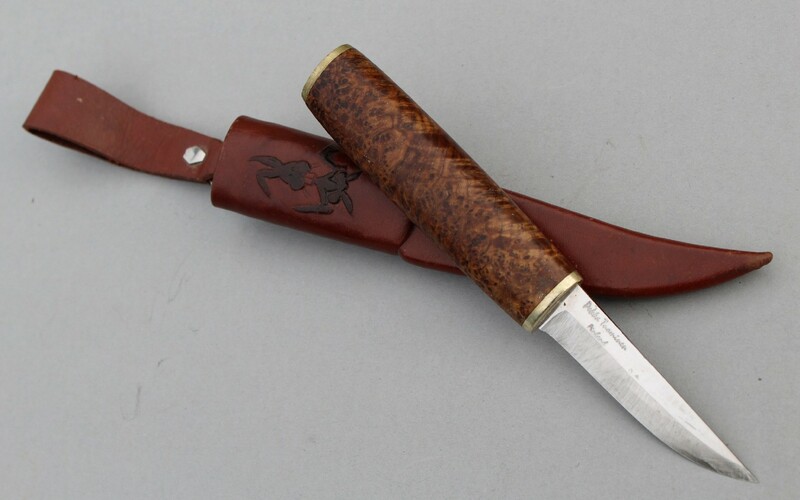 One of a kind W-pattern damascus blade with silver brass bolsters, walrus ivory handle and leather sheath. Keitele-puukko 155CrV3 silversteel blade, dyed curly birch handle, brass mountings and leather sheath. 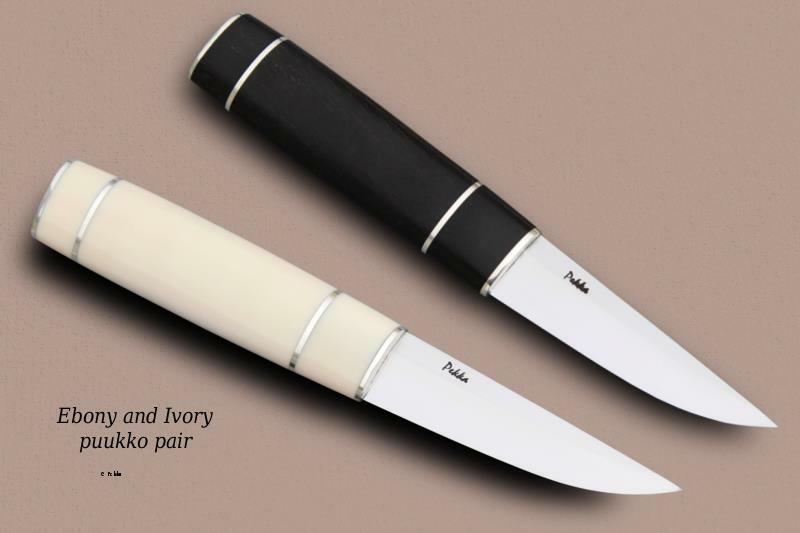 155CrV3 silver steel blades, 925 silver bolsters, walrus ivory and ebony handles. Mammoth handle, damascus blade mokume kane (copper/silver brass) mountings, leather sheath. Silversteel blade, birch bark handles with inlaid brass and brass mountings, leather sheath. Silversteel blade, ebony handle, silver mountings, leather sheath. Ebony handle, silversteel blade, silver brass mountings, leather sheath. Viitasaari puukko. Birch bark handles, silversteel blades, brass mountings leather sheath. A photo sent to me by my friend Christian of his birch bark handled puukko made by Pekka. 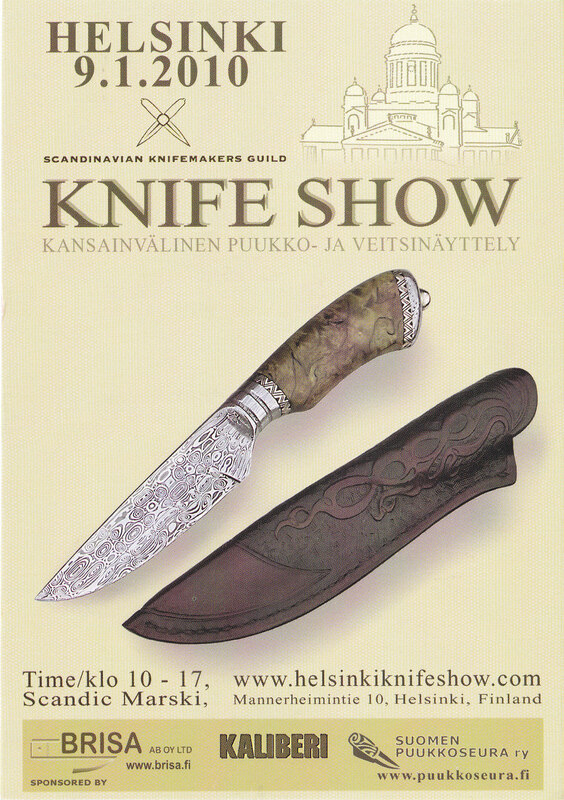 Pictured are post card announcements for the Helsinki Knife Show held each January since 2010.The Helsinki Knife Show is an international custom knife sales-exhibition organized by the Scandinavian Knifemaker’s Guild and attracted over 50 exhibitors in 2011. 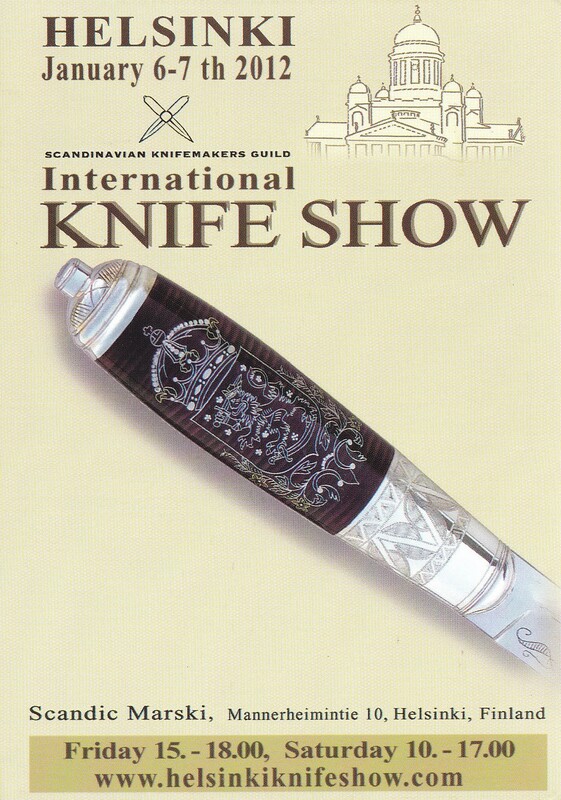 The show for 2014 will be held in the Carl-Gustaf cabinet of the Hotel Marski 3rd and 4th of January 2014. These cards give you an idea of the variety and high quality of the work that is exhibited. 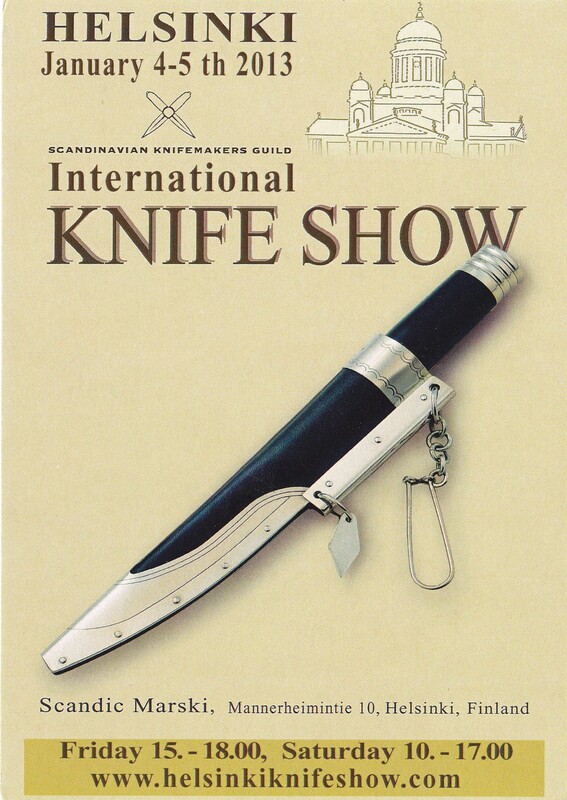 I am posting this because there is a chance to see some very fine work at the gallery at http://www.helsinkiknifeshow.com/ and also on their Facebook page, https://www.facebook.com/pages/Helsinki-Knife-Show/137466299619315. If I ever had the chance to travel to Finland it would to see this show and meet the puukkoseppä there. A special thank you to Pekka Tuominen for the post cards.